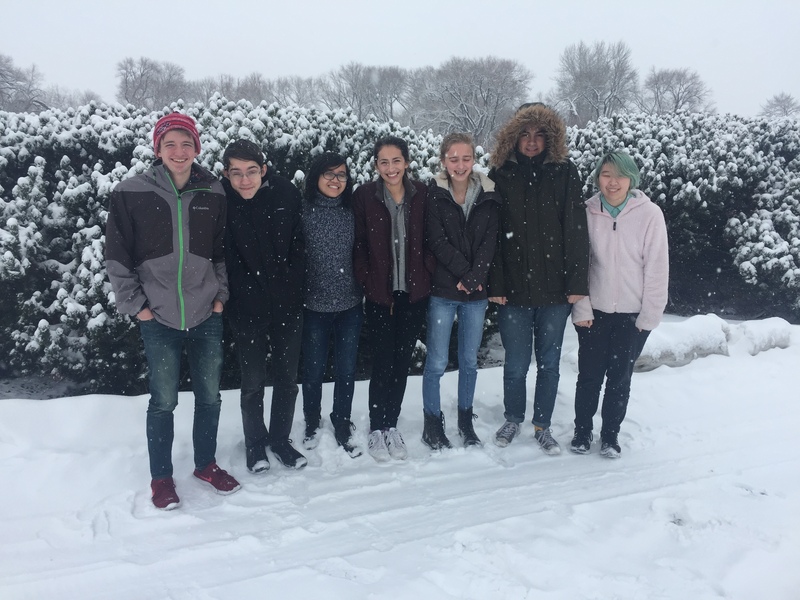 This weekend seven of our debaters braved snow and the treacherous Snoqualmie Pass in order to debate in the Conway Classic at Gonzaga University. This was large national tournament with some tough competition, but our teams did a fantastic job. In particular, Petra managed to go 4-2 in the preliminary rounds and then break to the octafinals. Not only did this allow her to provisionally qualify for the Washington State Championship Tournament in March, but it also put her within two wins of a bid to the prestigious Tournament of Champions. This was a huge win for Garfield, and a clear demonstration of our continued growth as a team. Nor was Petra the only team to do well – both Griffin and Carter and also Hannah and Luke went 3-3 at the tournament, despite hitting some very tough teams. Congratulations also to Mabel and Aisley for going 2-4 at their first overnight tournament! We were very pleased with the tournament on all fronts. We have a quick turn around, and will be headed to a tournament at Federal Way on Friday.